"Pinnacle Entertainment is a dynamic and growing casino entertainment company with nearly 15,000 team members. Pinnacle Entertainment, Inc. owns and operates 15 gaming entertainment properties, located in Colorado, Indiana, Iowa, Louisiana, Mississippi, Missouri, Nevada and Ohio. Pinnacle holds a majority interest in the racing license owner, as well as a management contract, for Retama Park Racetrack outside of San Antonio, Texas." Ameristar is a Las Vegas-Style Hotel Casino in Black Hawk, Colorado. Nicely appointed hotel-rooms, a Las Vegas-Style Buffet, swimming pool, hot-tubs, spa and of course a casino will satisfy your every whim. 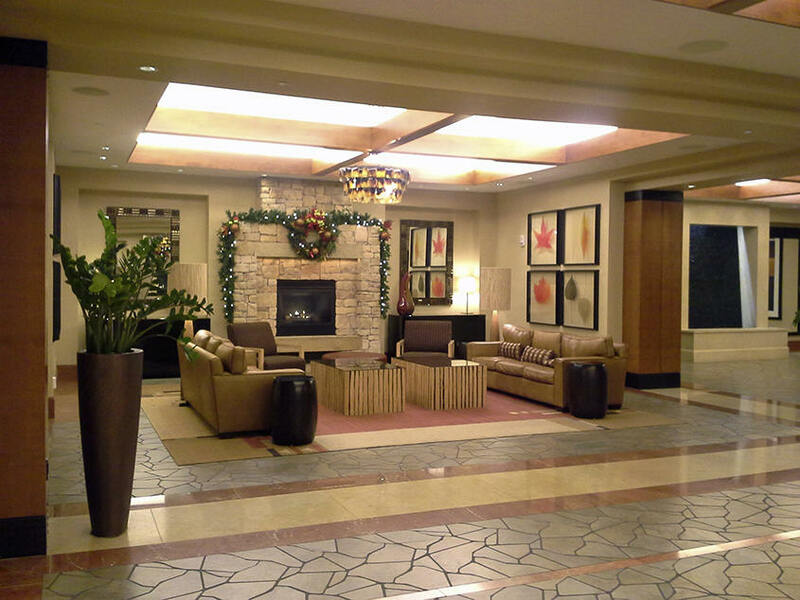 "Situated in Black Hawk, Ameristar Casino Resort Spa Black Hawk is in the historical district and close to Riviera Black Hawk Casino and Bullwhackers Casino. Additional area attractions include Steve Canyon Statue and Argo Gold Mill and Museum." "Copy & fax services will be provided at the Hotel Front Desk. Ameristar Casino Resort Spa Black Hawk is now rated among the nation's elite lodging facilities and earned the prestigious American Automobile Association Four Diamond designation. Ameristar Casino's 536 luxurious guest rooms, including 64 suites, are comfortable and versatile with oversized bathtubs and panoramic views of the Rocky Mountains. Tastefully appointed and furnished, every room contains exquisite amenities and features to exceed the most discerning guests' expectations. An on-site Fitness Center, roof-top pool and the 7,000-square-foot ARA Spa will complete your overnight experience." "Ameristar Casino Resort Spa Black Hawk is now rated among the nation's elite lodging facilities and earned the prestigious American Automobile Association Four Diamond designation. "Ameristar Casino's 536 luxurious guest rooms, including 64 suites, are comfortable and versatile with oversized bathtubs and panoramic views of the Rocky Mountains. Tastefully appointed and furnished, every room contains exquisite amenities and features to exceed the most discerning guests' expectations. An on-site Fitness Center, roof-top pool and the 7,000-square-foot ARA Spa will complete your overnight experience." "The 536 air-conditioned guestrooms at Ameristar Casino Resort Spa Black Hawk include safes and complimentary newspapers. Complimentary wireless high-speed Internet access is provided. Rooms are equipped with flat-screen TVs with premium satellite channels. Bathrooms offer separate bathtubs and showers, hair dryers, and complimentary toiletries. In-room refrigerators and coffee/tea makers are provided. Additional amenities include irons/ironing boards and blackout drapes/curtains. In addition, housekeeping is offered daily and amenities available on request include hypo-allergenic bedding." "Each oversized Deluxe Room offers more than 400 square-feet of living space, and features a single king bed or two queen beds adorned with luxurious linens. Marble foyer entries, timeless upscale decor, and a 37-inch high definition plasma television add to the pampered ambience. Our spacious bathrooms are highlighted by sunken oversized garden tubs, separate shower with glass enclosures, plush oversized cotton bath sheets and sumptuous bath amenities." "Each oversized Deluxe Queen Room offers more than 400 square-feet of living space, and features two queen beds adorned with luxurious linens. Marble foyer entries, timeless upscale decor, and a 37-inch high definition plasma television add to the pampered ambience. Our spacious bathrooms are highlighted by sunken oversized garden tubs, separate shower with glass enclosures, plush oversized cotton bath sheets and sumptuous bath amenities. Additional amenities include a refrigerator and free wireless internet access. Non-smoking and wheelchair-accessible rooms are also available." "Our Deluxe Spa Suites surround you in comfort. Each oversized suite offers a spacious bedroom with a comfortable living area and double-sided fireplace. Luxurious linens adorn the king bed and provide a tasteful touch of elegance. The Spa Suite features two 42-inch high-definition plasma televisions with HD programming for your enjoyment. Nearby, step into the whirlpool bath where oversized windows invite panoramic views of the Rocky Mountains. Several other amenities include a full wet bar with seating, second guest bathroom, refrigerator, in-suite dining and complimentary wireless internet access." 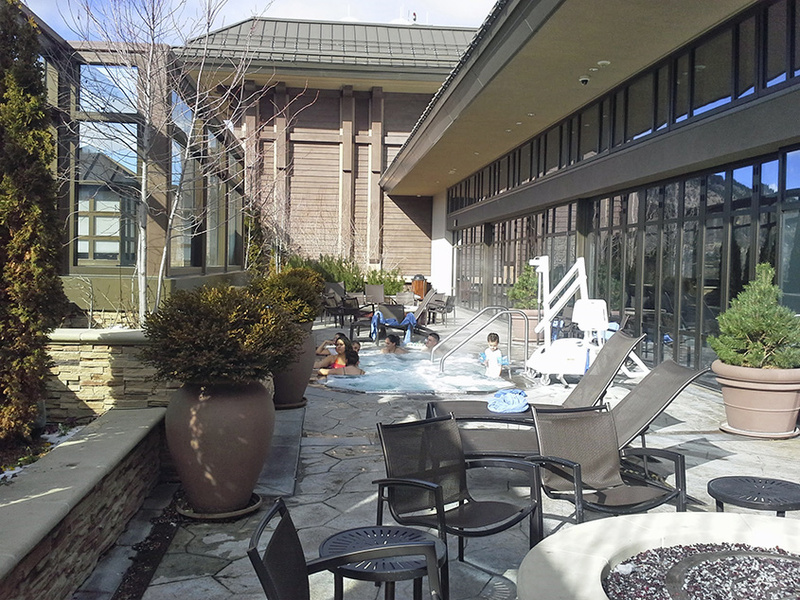 "Our Mountain Pine Suites give you an authentic Colorado retreat. Each oversized suite offers a spacious bedroom with a comfortable living area. Luxurious linens adorn the king bed and provide a tasteful touch of elegance. The Mountain Pine Suite features two 42-inch high-definition plasma televisions with HD programming for your enjoyment. Nearby, step into the whirlpool bath where oversized windows invite panoramic views of the Rocky Mountains. Several other amenities include a fireplace, refrigerator, in-suite dining and complimentary wireless internet access." "At Ameristar Casino Resort Spa Black Hawk the world awaits. Although it's only steps from the casino floor, our Centennial Buffet allows you to dine from Italy to China. Or you can choose to feast on traditional American or Mexican fare or even our all-you-can-eat crab extravaganza. And the sumptuous dessert bar is not to be missed." Kids: 3 years and under eat free. All guests under 21 years of age must be accompanied by an adult over 21 to dine at Ameristar Casino Black Hawk. 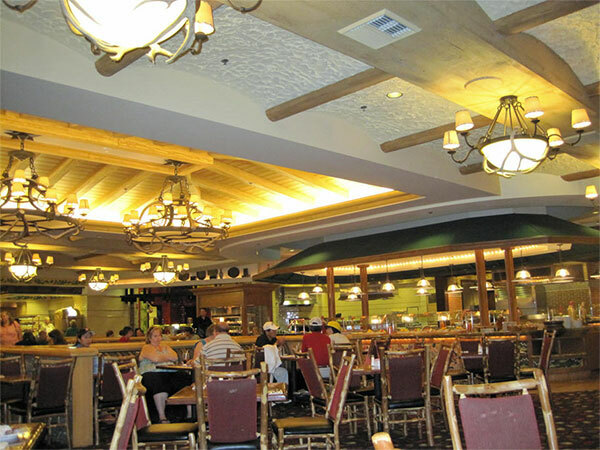 Las Vegas Buffet Club says: "This is one of the better buffets in the area. 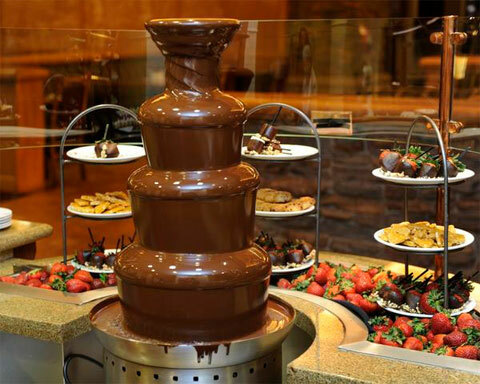 The Centennial Buffet offers most things one might find at a Las Vegas buffet, including King Crab Legs, and individual cooking stations. The room itself surpasses many in Las Vegas. The quality of the construction / craftsmanship / materials is well above average and very impressive (click photo above.) The room is warm and comfortable, the staff is friendly and attentive, this is a good bet." Located inside the casino on Level 2, the Fireside Kitchen has a comfy mountain feel and a menu that includes delicious breakfast offerings such as crepes, pancakes, skillets and more. In addition, this venue offers lunch and dinner specials featuring our signature burgers, specialty shakes and malts and authentic Asian cuisine. "At Fireside Kitchen, we wanted to capture those magical moments around the campfire. Here, you’ll find your favorite comfort foods, served with a side of warm hospitality. As our time together draws to a close, we hope you’ve savored more than a few great stories over one of our mouthwatering fresh-off-the-fire skillets. Because some of life’s greatest memories are made Fireside." We're proud to feature the only Starbucks® location in all of Black Hawk. Join us for Starbucks®'s signature fresh, richly-brewed, Italian style espresso beverages, pastries and confections, and more. With its walls of reclaimed timber, intricately carved wooden bar and solid cherry wood furnishings, the Timberline Grill pays homage to the best Colorado craftsmanship. And its cuisine is equally impeccable. When you're savoring one of our signature dishes, such as crispy ruby trout or roasted prime rib, in front of a roaring fire, it's easy to imagine that you're high up in the Rockies, experiencing the deep peace that can only be found in an isolated cabin. One that serves Chocolate Avalanche Cake, that is. If you're hungry, yet reluctant to wander too far away from the casino action, our Waypost Deli is perfect for a quick bite. Its menu features just about everything, from a spinach bacon salad or green chili smothered burrito to something as deliciously basic as smoked ham and Swiss. And this newly-revamped delicatessen is open for extended hours to accommodate you when hunger strikes. 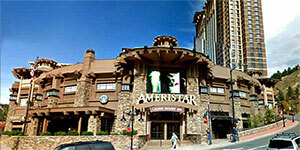 "Ameristar Casino Resort Spa is your premier destination for entertainment and nightlife in Black Hawk, Colorado. We offer a variety of live events, concerts and free shows – from rock, blues to country, Ameristar has it all!" "If you’re looking to grab a drink, join us at BAR 8042. We’ll entice you with captivating cocktails and drink specials as a perfect induction to a night of gaming. Better yet, we have 6 additional tables right inside the bar." 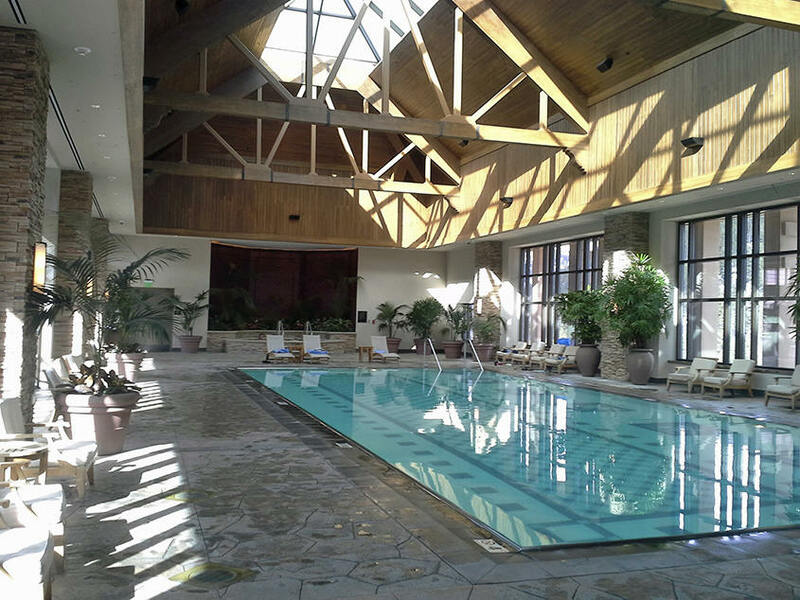 "Ameristar Casino Resort Spa Black Hawk offers an idyllic Colorado wedding location as one of the most luxurious resorts in Colorado. In addition to our superb mountain location - which presents a wide array of photographic backdrops - you'll have your choice of wedding sites throughout the resort, featuring everything from grand to intimate." "Discover one of Colorado's most luxurious meeting facility, where spacious and flexible meeting rooms are surrounded by a spectacular Rocky Mountain backdrop. Ameristar's 15,000 square feet of meeting space is every bit as functional as it is inspiring, and includes indoor and outdoor meeting facilities and a sumptuous Grand Ballroom." "Over 1,450 slot and video machines, 33 tables games and 17 live poker tables, add up to great Colorado gaming." "The casino action at Ameristar Casino Resort Spa Black Hawk offers quite a variety! Our games, including over 1,450 of the hottest, most popular slot and video products are amazingly diverse. But no matter what shape they take -- interactive video slots, classic reel machines, and single or multi-hand video poker – they have one thing in common: Each and every one of them is state-of-the-art. Our slot machines range from pennies up to $100 machines." 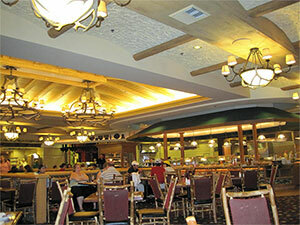 "With our 33 table games and 17 live poker tables, Ameristar Casino Resort Spa Black Hawk is ready for action. Come check out our newly added roulette and craps games! Our dealers are ready to deal you in. Just pull up a chair and let the games begin!"